CLARION, Pa. (EYT) – A 31-year-old Clarion woman landed in jail after the Clarion County Narcotics Enforcement Team (CNET) filed felony drug charges against her in two separate cases. 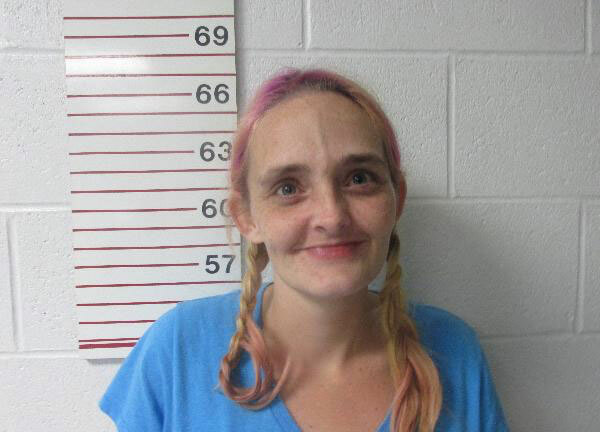 Court documents released this week indicate that Crystal Lee Bowser, 31, of Clarion, is facing charges in two cases involving the illegal sale of prescription medication. According to a criminal complaint filed at Magisterial Judge Duane Quinn’s office, CNET initiated the first investigation on August 30, 2017. Around 9:23 p.m., Clarion County Chief Detective William H. Peck met with a Confidential Informant (C.I.) in the Clarion area. The informant told Detective Peck that he/she received a message from Crystal Bowser that stated: “U know ne one looking for morphine 30’s $20.00 each.” The informant attempted to respond to Bowser via text message but she did not respond. Prior to the transaction, the informant was searched for any potential contraband or other currency and nothing was found. At 9:41 p.m, Detective Peck followed the informant from the meeting location to Bowser’s residence at 118 South 6th Avenue in Clarion Borough. At 9:48 p.m, the informant entered through the front door of the residence. From his position outside of the residence, Detective Peck was able to see Crystal Bowser and a black male in a second-floor room of the home. At 9:54 p.m., Detective Peck received a text message from the informant stating Bowser didn’t have the pills; however, a “girl that lives up the street” would be at the house in five minutes (with the pills). At 10:00 p.m., Detective Peck observed a male and female walking South on South 6th Avenue from Wood Street. The male and female then entered 118 South 6th Avenue. At 10:04 p.m., the informant exited the residence. Detective Peck met with the information at a pre-determined location around 10:07 p.m. At this time, Detective Peck obtained two purple pills marked ABG 30. The drugs were later identified as morphine sulfate, a Schedule II Controlled Substance. The informant was again searched and no additional contraband was found. According to the criminal complaint, the informant told Detective Peck that he/she entered the apartment and Crystal Bowser and known man, were inside. The informant related that Bowser did not have the pills; however, a girl by the name of “Tasha” who lives at 531 Wood Street had them. The informant told Detective Peck that “Tasha” arrived with a man named Benjamin Cyphert a short time later. The informant gave “Tasha” $40.00 in exchange for two purple pills. The informant said Cyphert stated that the pills were his and to contact him later if (the informant) wanted more. The informant then gave the other $20.00 to Bowser, according to the criminal complaint. She waived the charges in a February 12 preliminary hearing before Magisterial District Judge Duane L. Quinn. “Tasha” was identified as 23-year-old Tasha Rigetta. Rigetta and Cyphert were arrested on felony drug charges in the case in October 2018. The cases against all three individuals have been transferred to the Clarion County Court of Common Pleas. According to a criminal complaint filed by Detective Peck, on October 26, 2017, CNET used a C.I. to make a controlled drug purchase of 16 Tramadol pills from Mark Suto, 53, of Ambridge, Pa., and Crystal Bowser, in exchange for $15.00 in U.S. currency. On October 26, 2017, the informant made contact with Crystal Bowser via facebook. Bowser allegedly indicated that “Mark” was at her house and has fifteen Tramadol pills for $1.00 per pill. At 12:28 p.m, CNET member Roger Wright and Detective Peck met with the informant at a location in Clarion. Detective Peck searched the informant and did not locate any contraband. Detective Wright searched the informant’s vehicle and did not locate any contraband. CNET provided the informant with money to make the purchase. Detective Peck left the meeting location and drove to Bowser’s residence at 118 South 6th Avenue. The informant entered the home, made the transaction, and then returned to the meeting location where he/she provided Detective Wright with a pill bottle that had “Mark Suto” printed on it. The bottle contained 16 pills marked “58 TV.” The pills and the bottle were placed into evidence. Around 12:50 a.m., Detective Wright searched the informant and the informant’s vehicle and did not locate any contraband. The informant told police that he/she entered the South 6th Avenue apartment, occupied by Bowser and Suto, and provided $15.00 to Suto in exchange for the bottle of pills. The pills were later identified as Tramadol hydrochloride, a Schedule IV controlled substance. The pill bottle and pills were logged into evidence at the Clarion County District Attorney’s Office. Bowser remains in the Clarion County Jail after failing to post $10,000.00 cash bail. Felony drug charged were filed against Suto in October 2018. Both cases have been transferred to the Clarion County Court of Common Pleas.